Eagle carvings by Balinese craftsmen. Made of a locally grown hard wood known as suar wood. Beautiful craftsmanship. These eagle wood carvings comes in various sizes and style. These are only few of what we have available for you. 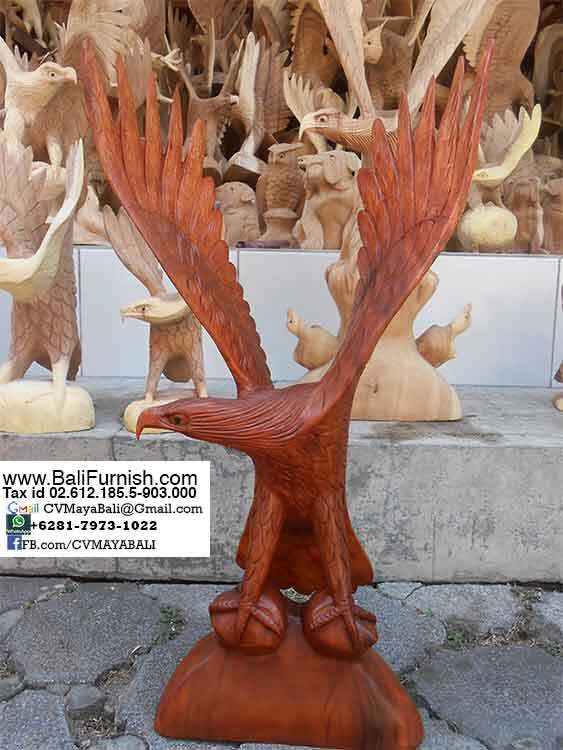 Please browse our web site www.Balifurnish.com for more carved wood eagle. We have wide range of wood carvings made by Balinese craftsmen. Including the eagle carvings. These eagle carvings available in different styles. 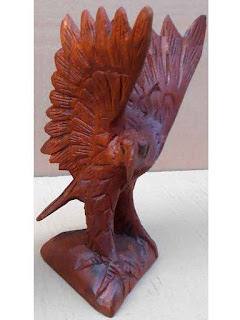 You can view other eagle carvings on our web site mention above. Due to the fragile shape of the eagle wings, we only recommend buying our eagle carvings in wooden crates. This is very important to protect the wings from damage during transit from our warehouse to your shop or store. This is wooden eagle which is simple in style and less fragile than the wooden eagle above. 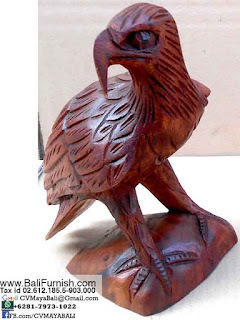 As usual the eagle carvings above available in various sizes. Range from as small as 25cm to as big as 100cm. Please advice what size you like when ordering our eagle carvings from Bali.